Calling all Club Industry Professionals! On Behalf of Club Managers’ Association (Singapore), we would like you to join us for the 12th Asian Club Managers’ Conference. The event will be held on Monday, 26 August 2018 from 09:00 – 09:30 at the Shaw Foundation Alumni House, 11 Kent Ridge Drive, Singapore 119244. The theme of this year’s conference, “10X Your Club in The Age of Disruption” aims to bring focus on how clubs can stay relevant particularly in the area of technology and sustainability. The conference has been carefully curated to target other demographics like the Millennials, Women and the “Silver Dollar”. We have incredible keynote speakers lined up who have demonstrated great successes in spearheading their respective clubs. 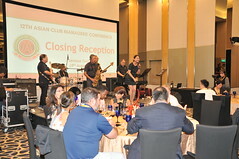 View our 12th Asian Club Managers’ Conference Speaker Lineup here! Click here to view our promotional video! 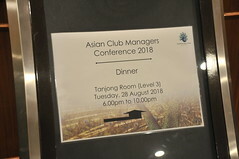 View the 12th Asian Club Managers’ Conference Programme here! 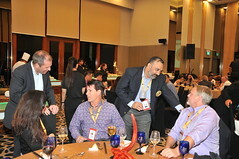 Our social programmes are designed to provide valuable opportunities to network with the very people you need to reach. In particular the Club Crawl has been designed to give an immersive experience. We’ve also arranged for a brand new segment to encourage attendees to bring their loved ones along, while you’re busy at the conference, they will be entertained by the lovely sights in Singapore. 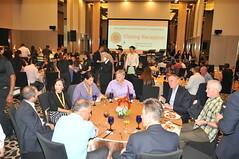 In addition, the breakout sessions have been designed to allow for deeper learning that will provide delegates a well-rounded conference experience. 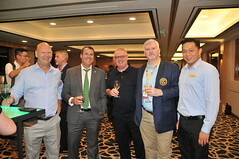 We aim to cover and deliver topics relating to all aspects of Club Management in a fun and engaging manner not to missed by any club professional. 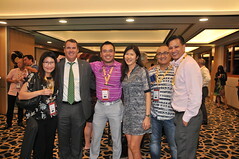 Your attendance and support is greatly appreciated we look forward to seeing you in Singapore! Posted on June 5, 2018 August 20, 2018 by The Outsiders Co.Posted in Conferences, UpdatesTagged 12th Asian Club Managers' Conference, Announcements, Asia, Conferences, Events, Hotels, Industry News, meetings, Networking, Singapore, Training.